Jet Airways has already scaled down its domestic and international operations due to fund crunch. The civil aviation ministry will hold a meeting of airlines representatives and airports on April 18 to discuss various issues, including capacity expansion and rising airfares. 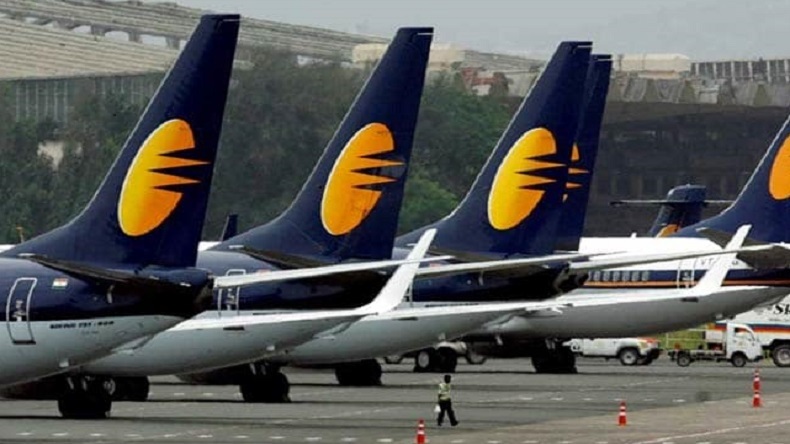 Cash-strapped Jet Airways on Tuesday sought emergency funding of Rs 400 crore from banks and is currently operating only five planes, a senior government said. The airline has already scaled down its domestic and international operations due to fund crunch. The civil aviation ministry will hold a meeting of airlines representatives and airports on April 18 to discuss various issues, including capacity expansion, rising airfares, PTI reported quoted Civil Aviation Secretary Pradeep Singh Kharola as saying. According to ANI, the debt-laden airline has sought an emergency funding of Rs. 400 crore from lenders. The airline had said in a BSE filing that it is waiting for an emergency liquidity support from an SBI-led consortium of lenders to prevent further deterioration in its services. The airline made the disclosure in response to a clarification sought by the stock exchange over reports that it may temporarily shut down its operations due to cash shortage. On Tuesday, shares of Jet Airways plunged 18.56 per cent on the BSE after it failed to secure interim funding from the lenders. Jet Airways has been promised Rs 1,500 crore as interim funding as part of the deal it signed last month with the lenders. Last Friday, dozens of employees of the debt-ridden airline had staged a demonstration at the Mumbai airport demanding the release of their salaries. The airline has been facing a tough time to pay salaries of its employees, as mounting debts and operational losses are pushing the airline to the brink. Last week, it was forced to cancel several domestic and international flights due to operational costs. On March 25, Jet Airways chairman Naresh Goyal and his wife Anita Goyal had resigned from the board of directors, following pressure from its lenders as the debt burden skyrocketed to Rs 8,000 crore. Goyal had started operating Jet Airways in 1993.